Vincent motorcycle books cover the history of Vincent, arguably the best British motorcycles ever produced. Vincent Motorcycles was a British manufacturer of motorcycles in the United Kingdom from 1928 to 1955. Their Black Shadow is one of the best known high performance motorcycles of the 1950s. 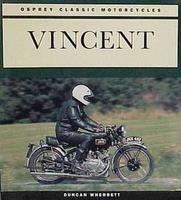 Vincent Twins (Super Profile) by J P Bickerstaff (1984) covers twin-engined Vincent motorcycles such as the Rapide and the Black Shadow and includes unique photographs from the 1977 Vincent Owners' Club rally in Canada, probably the largest collection of Vincents ever to have assembled in one place. 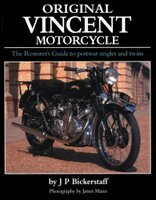 Original Vincent Motorcycle: The Restorer's Guide To Postwar Singles And Twins by J P Bickerstaff (2009). No other British motorcycle matches the style, performance or engineering ingenuity of the Vincent. This book concentrates on the post-1945 1000cc B, C and D Rapides, Black Shadow, Black Knight and Black Prince and the 500cc Meteor and Comet singles. There is also information on the special-order Grey Flash and Black Lightning racing models. Vincent HRD by Peter Carrick (1982). This is essential reading for those with an affiliation for this marque in total, or as the power plant of a 'specials' bike, even used as a competitive alternative to Norton and J.A.P. in the 500cc Formula 3 Race Cars of the late 1940s and early 1950s. Vincent Gold Portfolio 1945-1980 by R M Clarke (1997) Reprinted articles from major automotive magazines deal specifically with your favorite Vincent models. Filled with road tests, specs, driving impressions, articles on model introductions, history, and tuning. Models covered include: Firefly, Egli-Vincent, NorVin, Comet, Meteor, Rapide, Grey Flash, Black Shadow, Black Prince and Black Lightning. 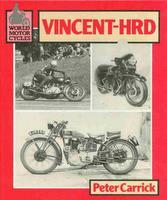 Vincent HRD In Australia by Brian Greenfield (2007) is a fascinating account of this famous motorcycle in Australia. Vincent H.R.D.Gallery by Roy Harper (1974). Volume 1 in the Vincent trilogy. The Vincent HRD Story by Roy Harper (1979). This book is Volume 2 of a Vincent trilogy, yet independant in its own right. Excellent photos of the machines that encompassed the mechanical genius of Philip Vincent and Howard Raymond Davies combined to make Vincent H.R.D. motorcycles. Vincent Motor Cycles Maintenance And Repair 1935-1955 by Paul Richardson (2007). Originally published under the title 'Vincent Motor Cycles: A Practical Guide Covering All Vincent And Vincent HRD Models From 1935'. This is a faithful reproduction of the 1955 Floyd Clymer publication of that manual. 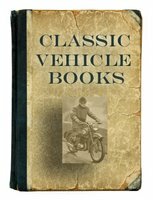 Includes complete technical data, service and maintenance information and comprehensive detailed instructions for the repair and overhaul of all major and minor mechanical and electrical components, for all models of Vincent motorcycles from 1935 through to 1955, making it an invaluable resource for collectors and restorers of these classic motorcycles. There are separate sections that deal with the repair and overhaul procedures for the engine, transmission, wheels and brakes, front forks, frame and carburetor, plus a detailed electrical service section and a comprehensive chapter on modifications for racing. Includes a detailed index plus a 12-page appendix of complete technical specifications and maintenance charts. This is a must-have reference for any Vincent enthusiast and would certainly assist in helping any potential purchaser better understand the inner workings prior purchasing of one of these classic motorcycles. Know Thy Beast: A Book For The Vincent Rider by E M G Stevens (1972) provides comprehensive information on the restoration and maintenance of post-war Vincent motorcycles. It lists screw thread sizes, mentions the types of material used for various components and details the modifications incorporated into the 1950 Series C Rapide and 1952 Series C Comet by the author during 55 years of Vincent ownership. The Snarling Beast by P C Vincent & Roy Harper (2008). The words are Phil Vincents, precious to anyone involved in performance motorcycles, especially of the old school but for this gentleman's family and friends, may never have seen light of day. However Roy Harper with the help of PCV's daughter Deidre and Vincent-HRD Club archivist Peter Bell, have put matters to right with this centenary of his birth publication. These are his 'Tales'. More technical stuff will follow in a future volume. Vincent by Duncan Wherrett (1994). This pictorial history of the Vincents, arguably the best British motorcycles ever produced, traces their development from the 1930s onwards, through the golden age of the late 1940s and early 1950s, until the company ceased cycle production in 1955. The book is illustrated with colour photographs of surviving models, many still in use. Vincent: The Complete Story by David Wright (2002). From its creation in 1928 to its demise 30 years later, Vincent produced motorcycles that were among the very best then available. The author's detailed history examines the company from its roots and explores the design and production of each one of the Stevenage firm's models. Rider's Handbook For Vincent Motorcycles Series B and C: Black Lightning, Black Shadow, Standard Rapide, Comet, Meteor (c.1970s) A facsimile of undated handbook published around 1954.